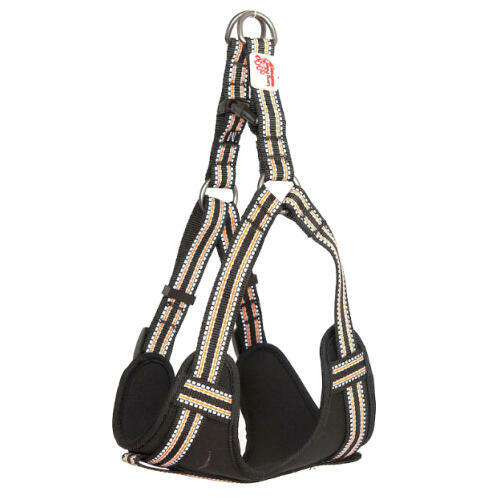 No matter whether you spend your days taking long walks on the beach, having boisterous runs in the park or chasing squirrels up a tree, the Long Paws Comfort Harness is an ideal everyday harness that will keep your dog safe and comfortable. 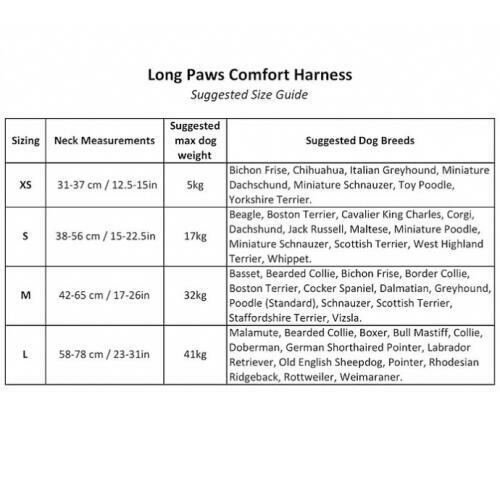 The Comfort Harness has a padded chest-plate that makes the harness comfortable for dogs to wear and helps prevent skin irritation. The chest-plate spreads the weight across the chest avoiding unnecessary stress and also helps to prevent chafing. 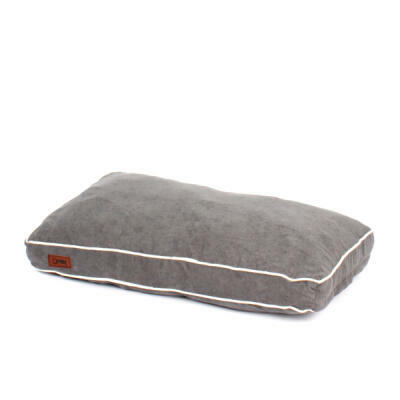 The padding has the extra benefit of helping to absorb shocks from strong pullers and further diffuse the pressure. 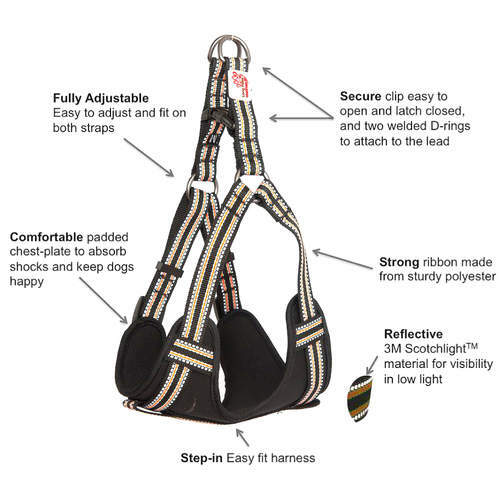 As a step-in harness, the Long Paws Comfort Harness is easily fitted by stepping your dog’s paws through the straps and securing the one clip, all without having to squeeze anything over your dog’s head. 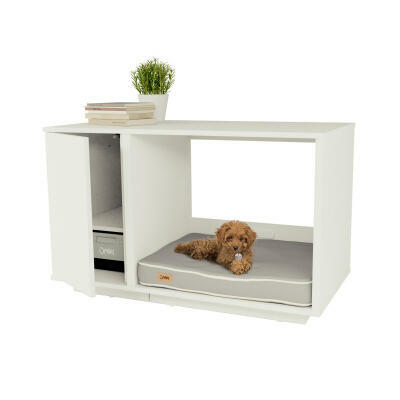 The straps are fully adjustable at both the neck and chest, meaning the harness can be precisely adjusted to fit your dog. 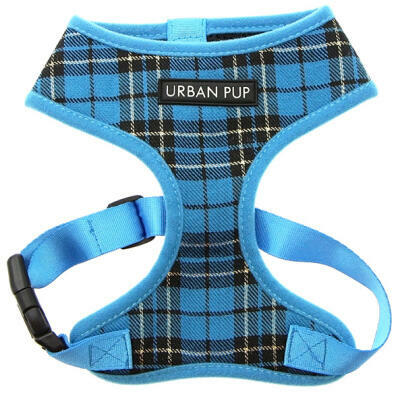 The harness is made from a woven polyester and padded neoprene, which are both easy to wash and also machine washable. 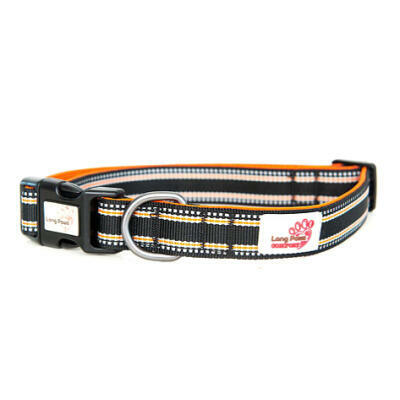 The harness is designed using bright colours with high quality 3M Scotchlite reflective bands ensuring your dog is visible, even in the dark, and is ideal for both daily use and longer excursions.